The timing is perfect - consumers and retailers across the country are set to celebrate the 9th annual Hemp History Week this June 4-10. The theme this year, Deep Roots, highlights how industrial hemp is a crop with deep roots in American history. Did you know the Declaration of Independence was drafted on hemp paper? Lumped in with marijuana in 1970, this practical and sustainable crop was made illegal for U.S. farmers to grow. For many years, U.S. manufacturers were forced to import it to meet growing demand for hemp-based products ranging from foods to sustainable building supplies to CBD oil. Due to increasing pressure from consumers and farm groups, in 2014 the federal government made an allowance in the Farm Bill to allow states to license farmers to grow industrial hemp under certain limited conditions. Fast-forward to 2018, and Wisconsin, along with 38 other states and territories, have popular and rapidly expanding hemp research and pilot programs. During this same time frame, availability and consumer demand for CBD oil for over the counter medicinal use has continued to grow. State governments are responding. In Wisconsin, the Department of Justice caused an uproar just last month (early May 2018) when they made a blanket announcement that the sale or possession of CBD oil is illegal. Just days later, on May 10, they reversed their position. Read the full press release here. The battles over modern hemp farming, hemp products, and consumer access are bound to continue. We will do our best to keep you updated. 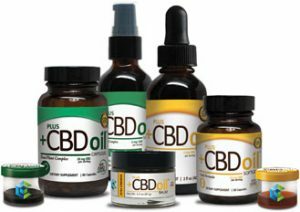 Stop in to Basics during Hemp History Week June 4-10 for specials on hemp foods, personal care and other products, including CBD oil!